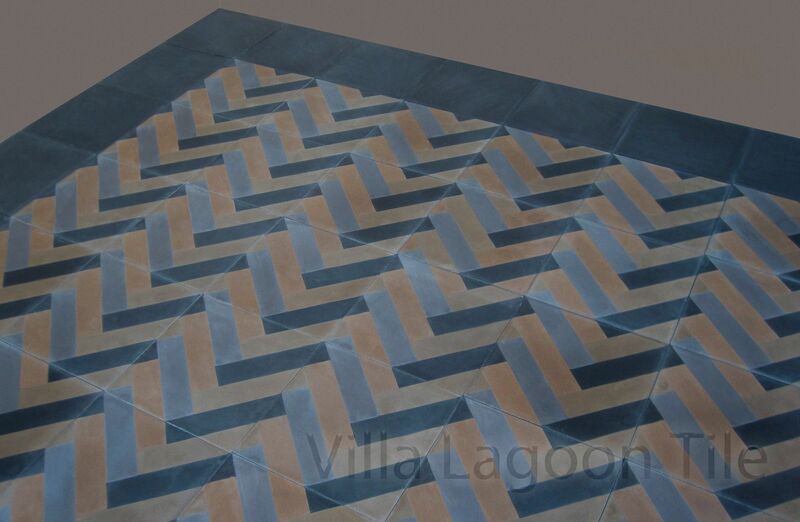 "Herringbone" Cement Tile Clearance Sale! 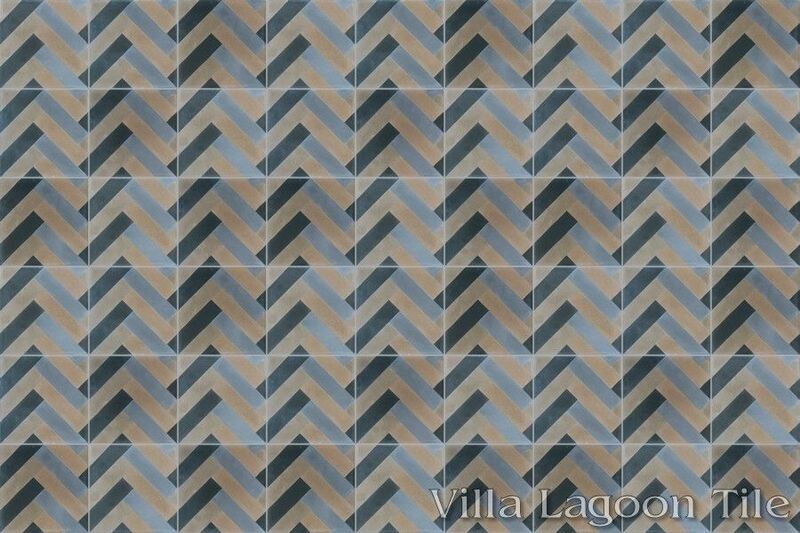 This is a 4-color 8" cement tile, using Black, Seagull, Portobello, and Bronze from the South Beach Palette. 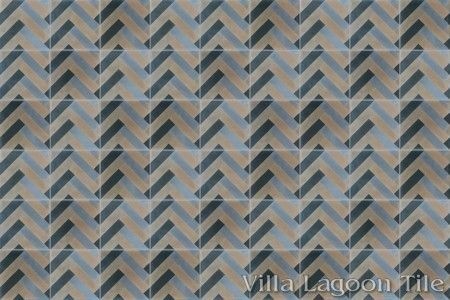 This Villa Lagoon Tile exclusive pattern is a cement tile adaptation of the classic herringbone fabric weave. 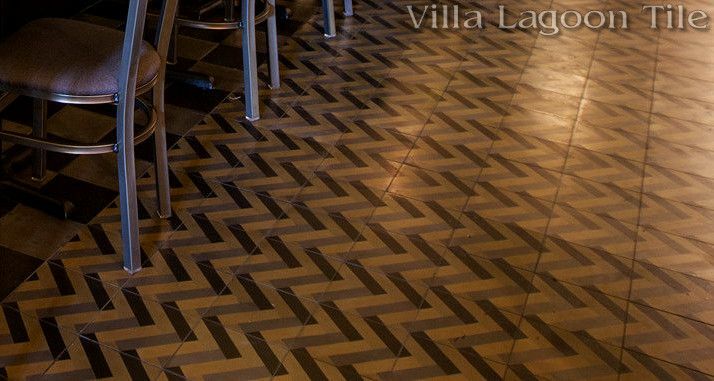 While chevrons and traditional zig-zags have been a staple of cement tile, our new pattern provides a slight twist. 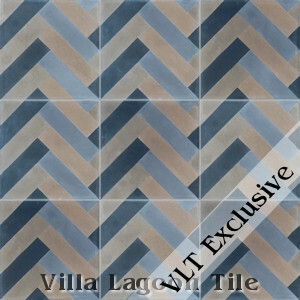 "Herringbone", Lot SB-C12, In Stock Clearance Sale! 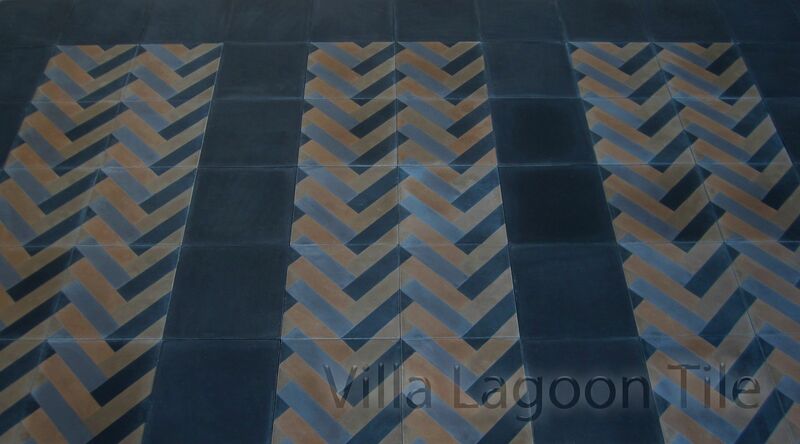 40% Off: $4.37 per tile ($10.05 / square foot) 5.22 square feet. 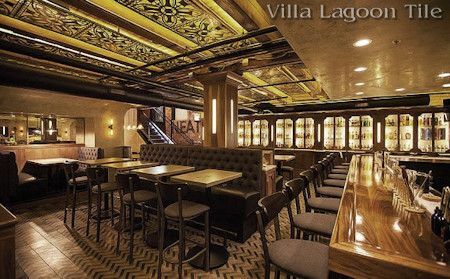 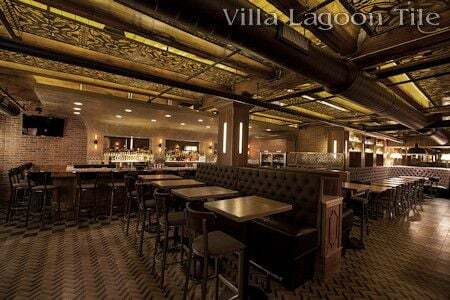 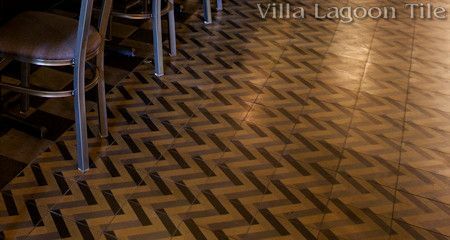 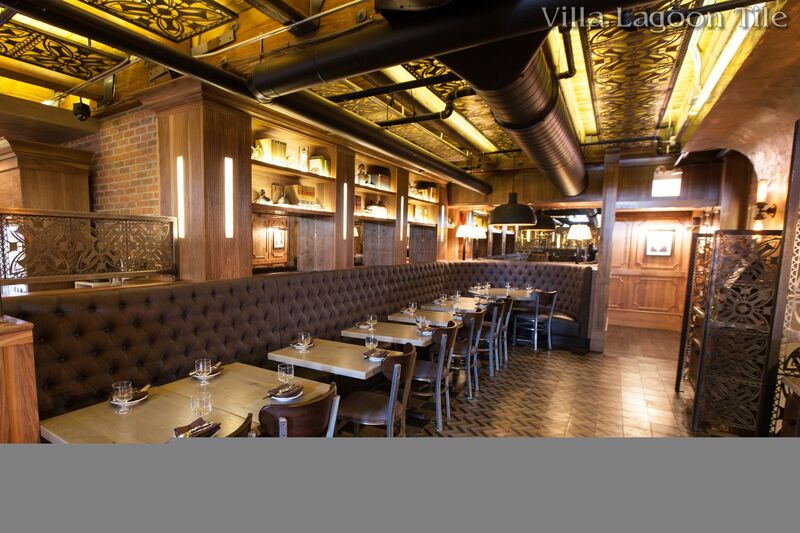 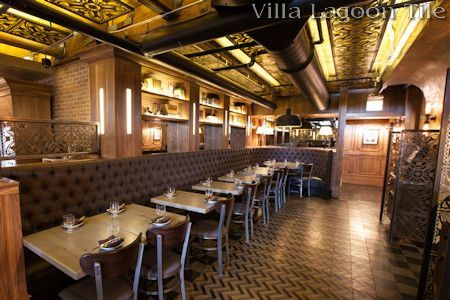 This beautiful installation of our Herringbone cement tile can be found at Chigago's new tavern, "The Franklin Room". 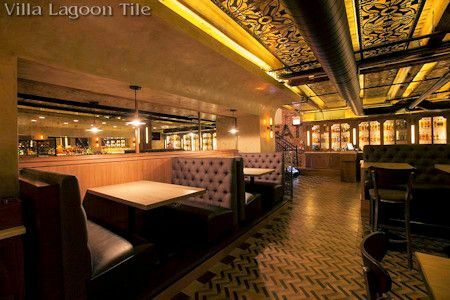 Read more about it in our blog post: Herringbone Cement Tile at Chicago’s Franklin Room.